Are your kiddos back to school this week? Mr 6 started grade one yesterday. I cannot believe how fast school holidays went. Back to routines and lunchbox packing! Although in all honesty I didn’t really take that much of a break from lunchbox packing. Do you pack lunch even when you are at home? I do. And between that and vacation care I did not really take a break! But now we are right back into it, 5 days a week. I am already thinking about how to keep lunches fresh, inviting and hopefully, eaten! One thing I do know is that if I pack a sweet muffin in the lunchbox it will always be something that Mr 6 will enjoy. And these Peach Ricotta and Vanilla Bean Muffins are no exception. 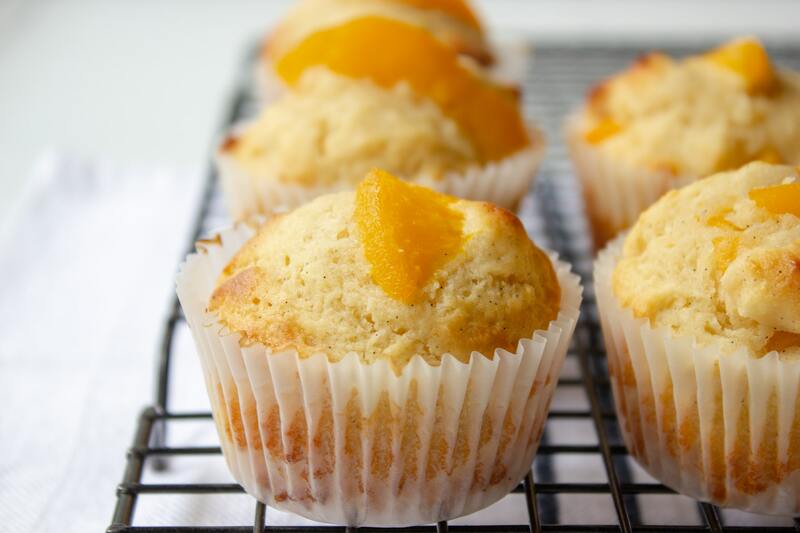 I find these Peach Ricotta and Vanilla Bean Muffins really moreish. 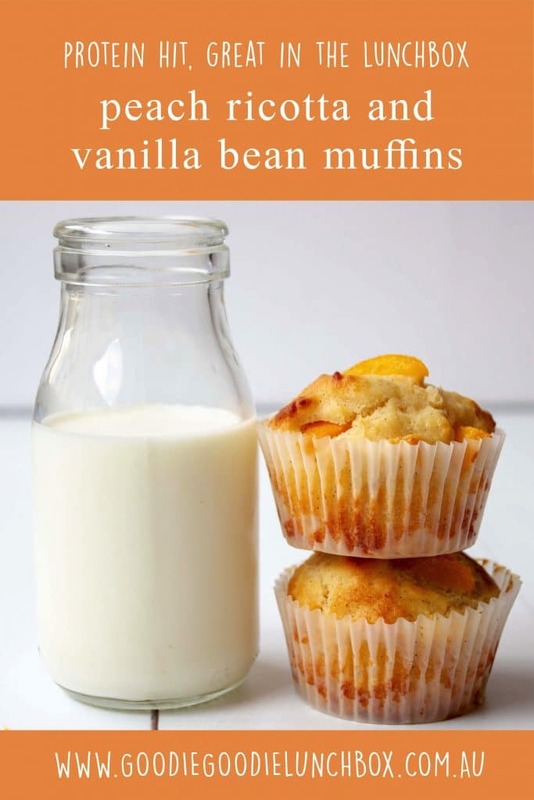 I particularly love the vanilla bean in these muffins. It really enhances the creaminess and sweetness of the muffins. But when I talk about the sweetness of these muffins they are actually quite low in added sugar. 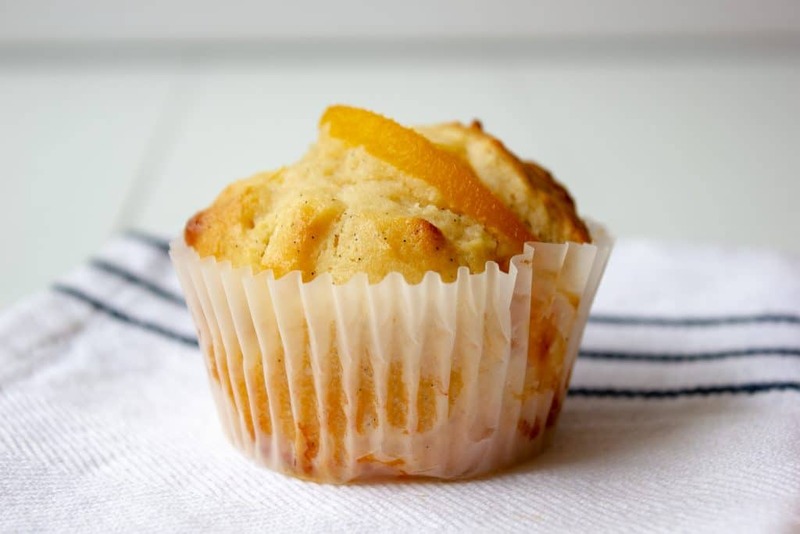 These Peach Ricotta and Vanilla Bean Muffins are sweetened with honey. So while they taste indulgent there is only about 1 teaspoon of honey per muffin. Winning! Also if you are looking for other sweet but not full of sugar treats for the lunchbox why not try my dairy free Pumpkin and Coconut Muffins or these Fruit and Chocolate Chip Muffin Tin Pancakes. 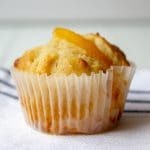 The other great thing about these Peach Ricotta and Vanilla Bean Muffins is they pack a protein punch from the ricotta and eggs. Protein is really important in the lunchbox as it helps keep tummies fuller for longer so I like knowing while this is a ‘sweet’ food it also provides nutritional benefits. These delicious sweet and creamy Peach Ricotta and Vanilla Bean Muffins are so soft and moist. You won’t be able to stop at one. If you are using fresh peaches or the mix appears a little dry (some ricotta brands are wetter than others) use around a 1/4 cup of milk to thin the mixture a little. I know your kiddos (and you) will enjoy this recipe. 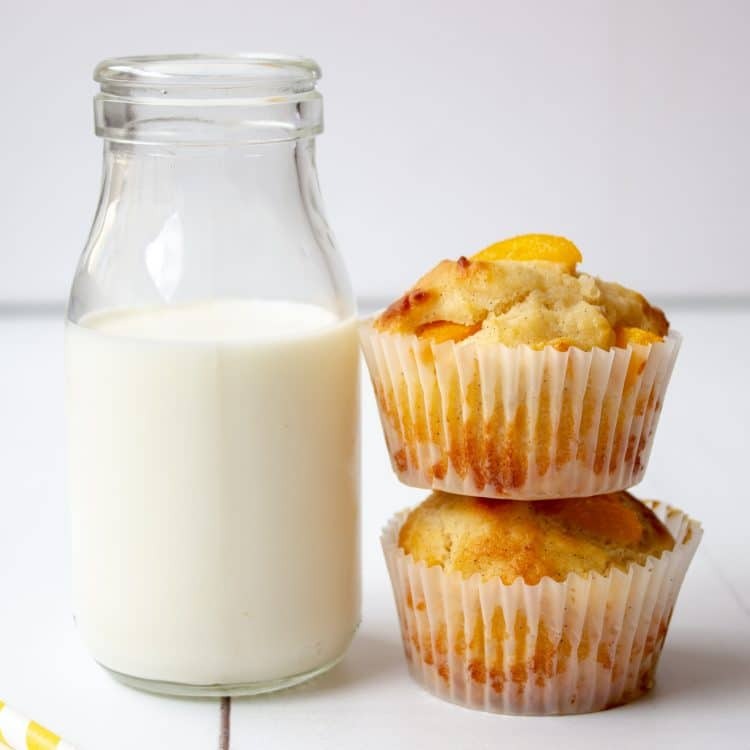 If you do make these Peach Ricotta and Vanilla Bean Muffins, get social – take a snap and upload to Facebook or on Instagram. Hi! I'm Bernadette and I love sharing recipes that are easy and can be made with your kids. My aim is to share with you (generally) nutritious, (always) delicious food that my family eats (mostly – I have young children that sometimes hunger strike for no reason). Get all the recipes emailed to your inbox! Check out what’s been cooking!